5) Internal capabilitiea (Value requirements). 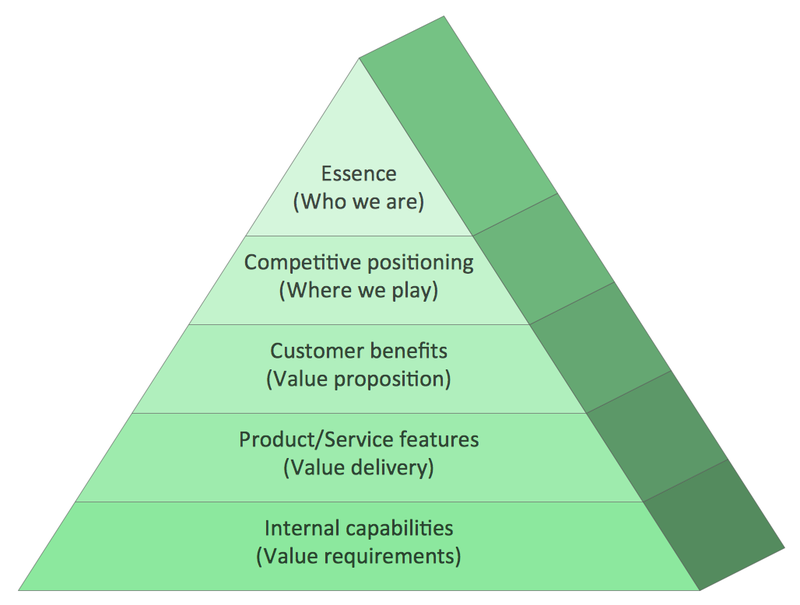 Use this triangular scheme to develop your marketing strategy. 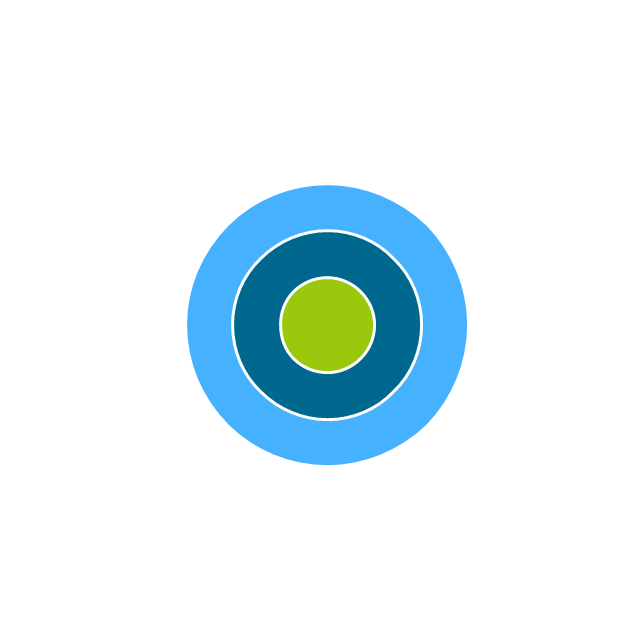 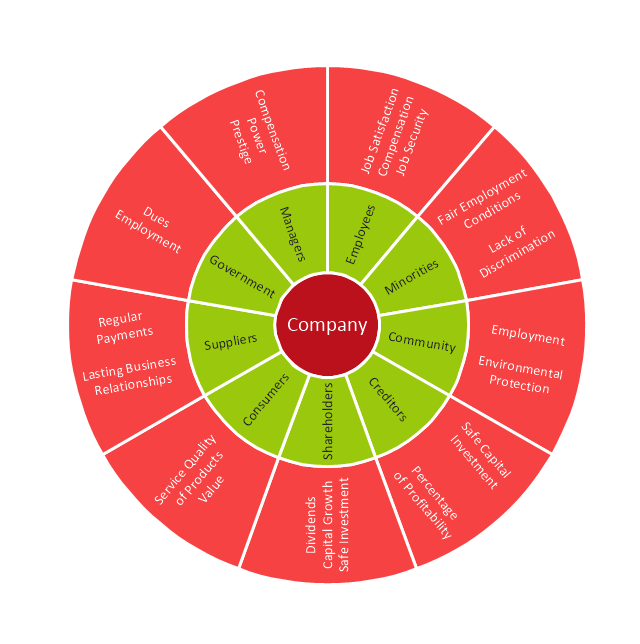 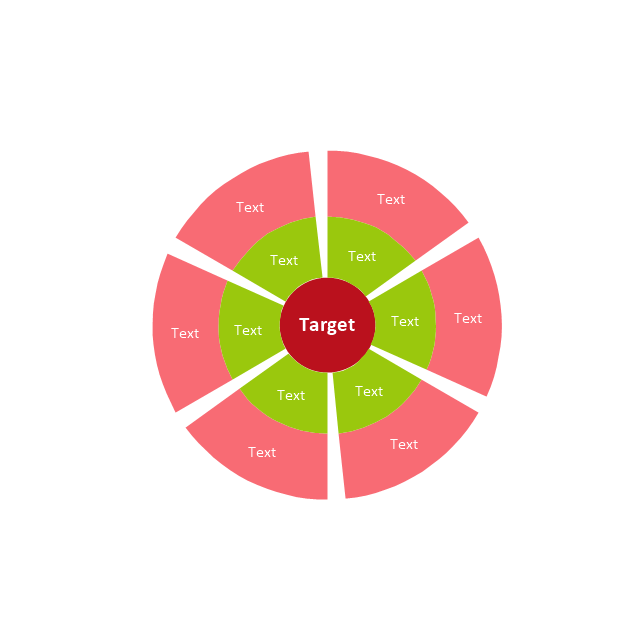 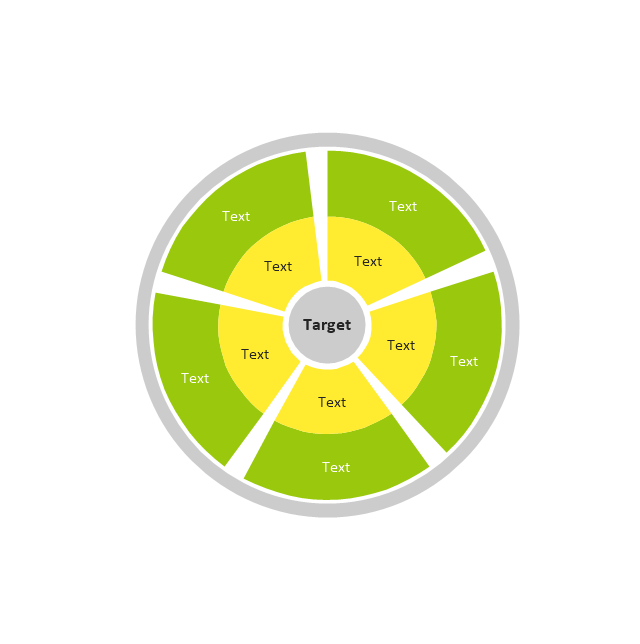 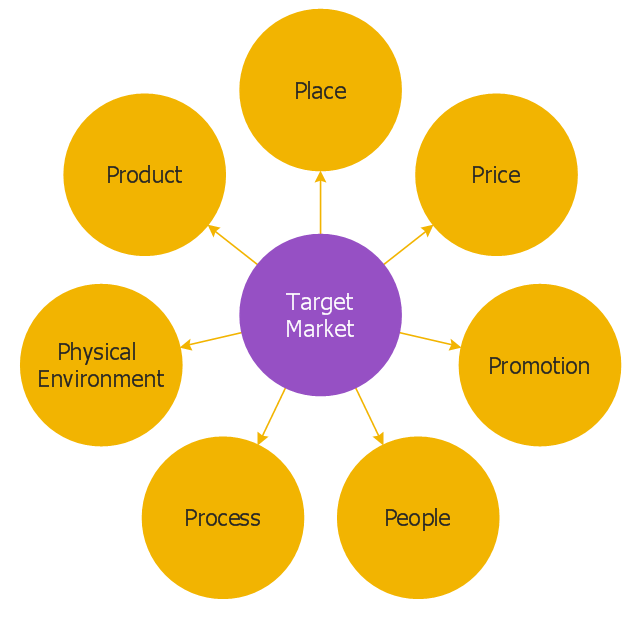 This onion diagram (target diagram) example "Target market" was created using the ConceptDraw PRO diagramming and vector drawing software extended with the Target and Circular Diagrams solution from the Marketing area of ConceptDraw Solution Park. 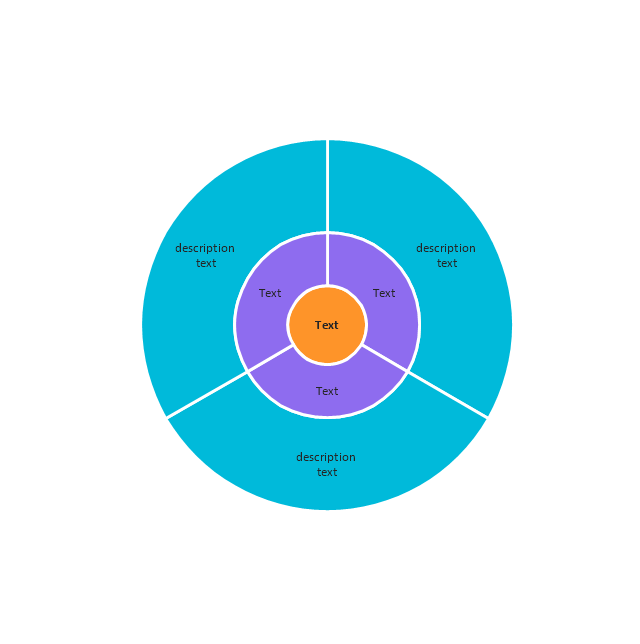 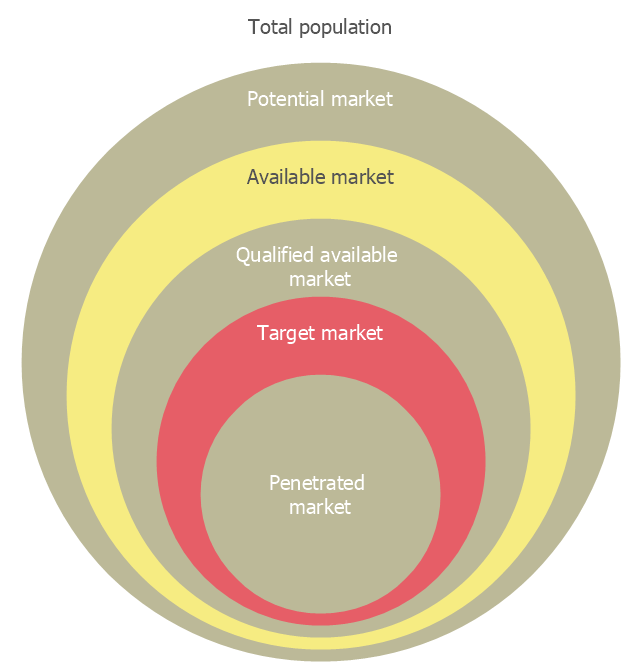 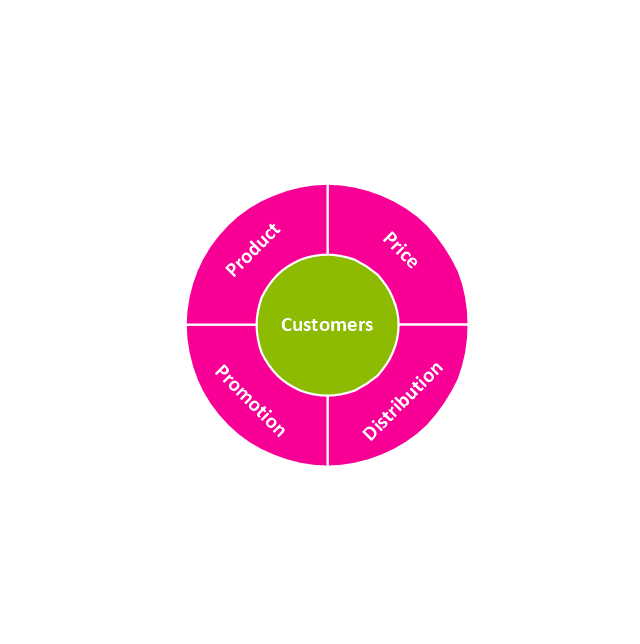 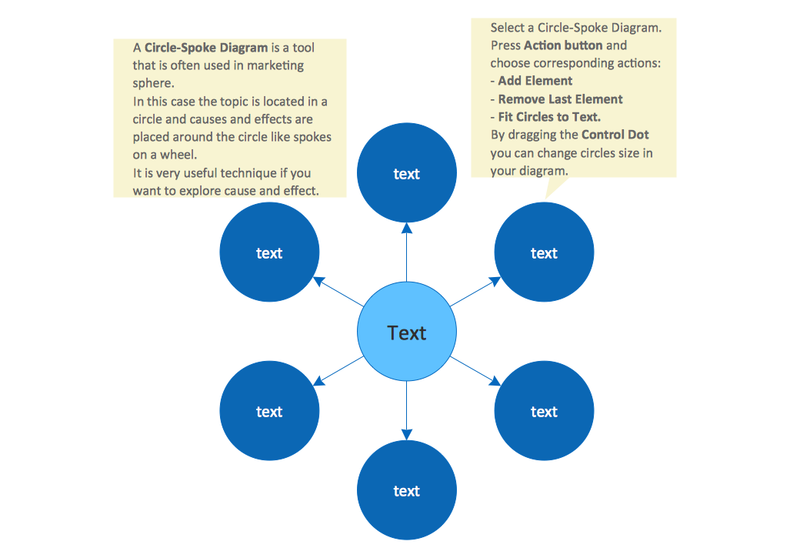 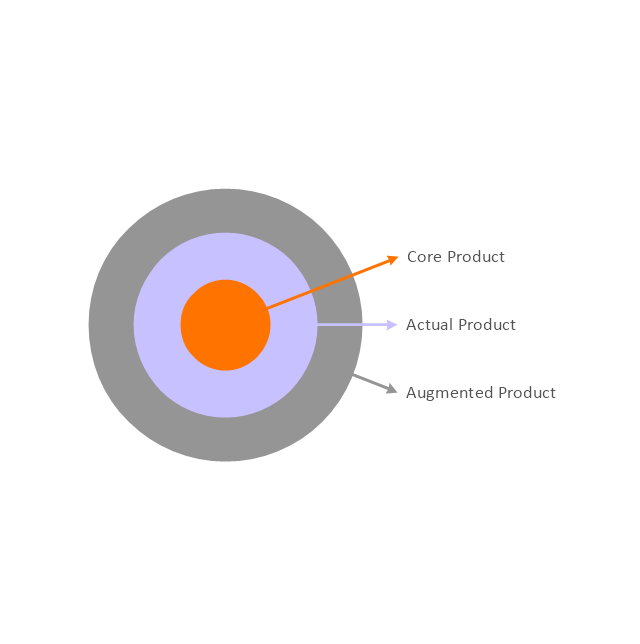 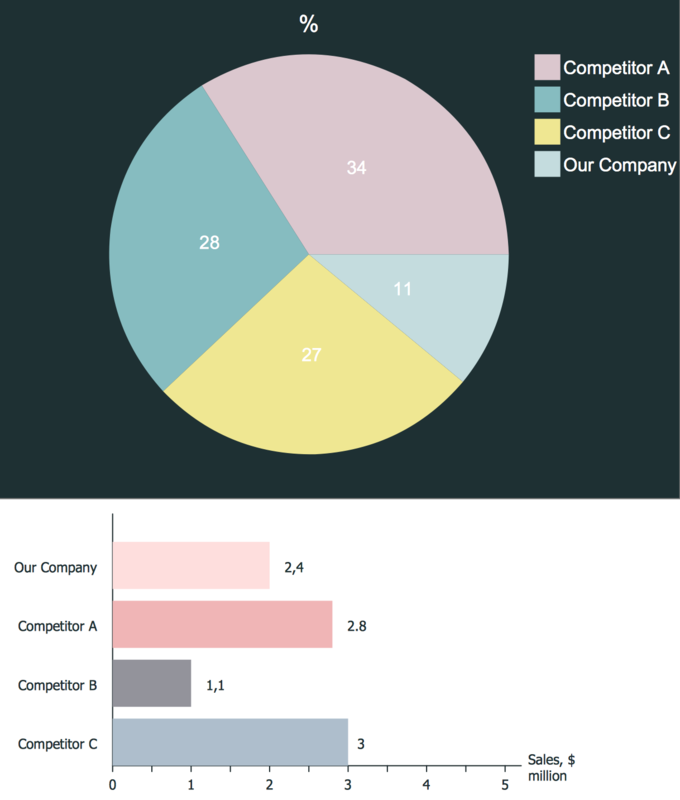 This circle-spoke diagram sample illustrates the target market concept. 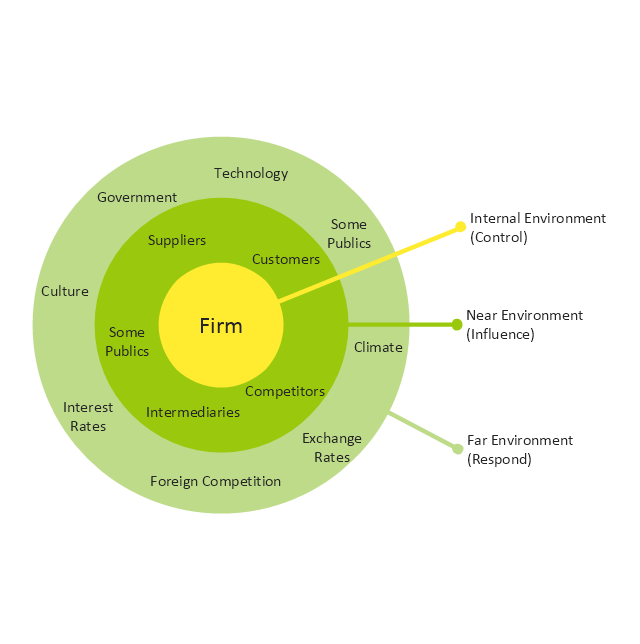 Christopher, Payne and Ballantyne (1991) from Cranfield University goes further. 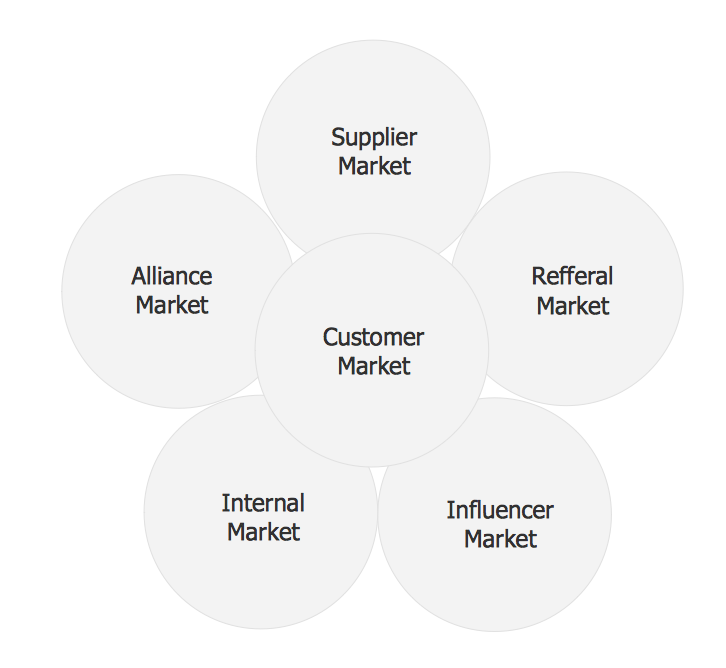 They identify six markets which they claim are central to relationship marketing. 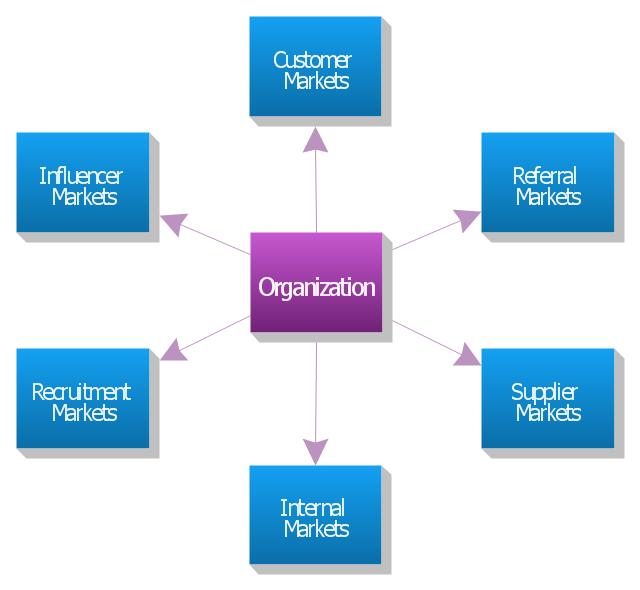 They are: internal markets, supplier markets, recruitment markets, referral markets, influence markets, and customer markets. 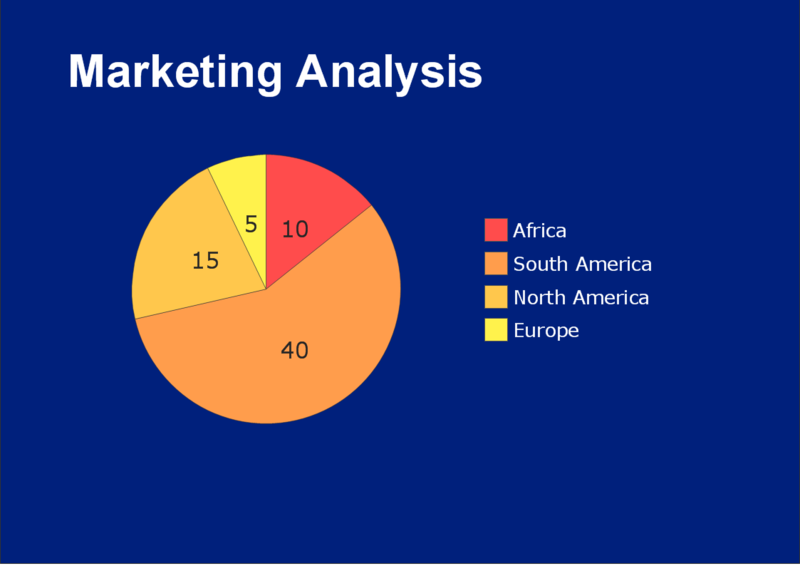 Referral marketing is developing and implementing a marketing plan to stimulate referrals. 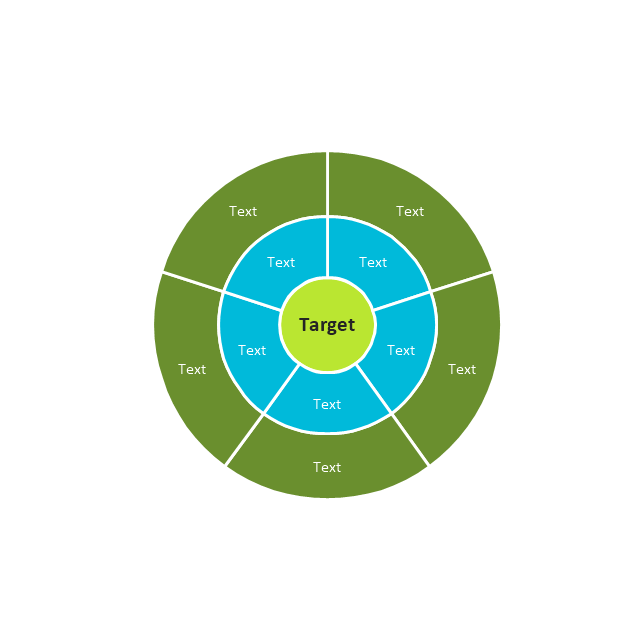 Although it may take months before you see the effect of referral marketing, this is often the most effective part of an overall marketing plan and the best use of resources. 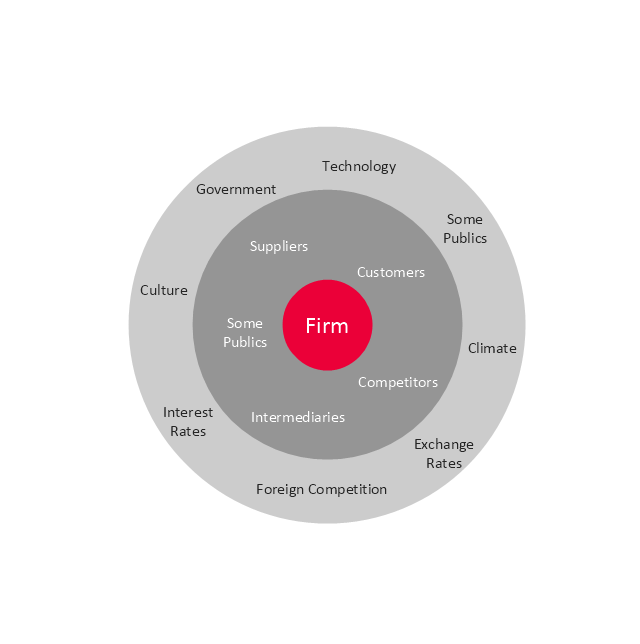 Marketing to suppliers is aimed at ensuring a long-term conflict-free relationship in which all parties understand each other's needs and exceed each other's expectations. 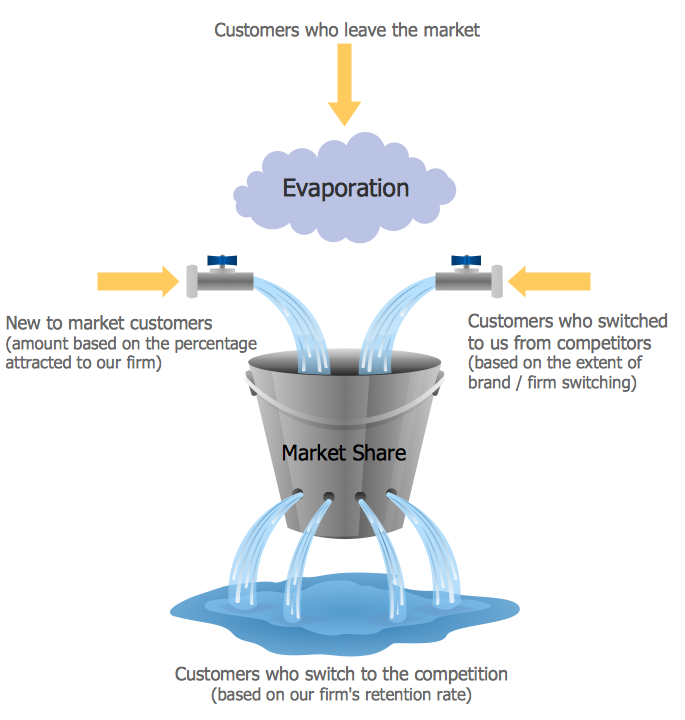 Such a strategy can reduce costs and improve quality. 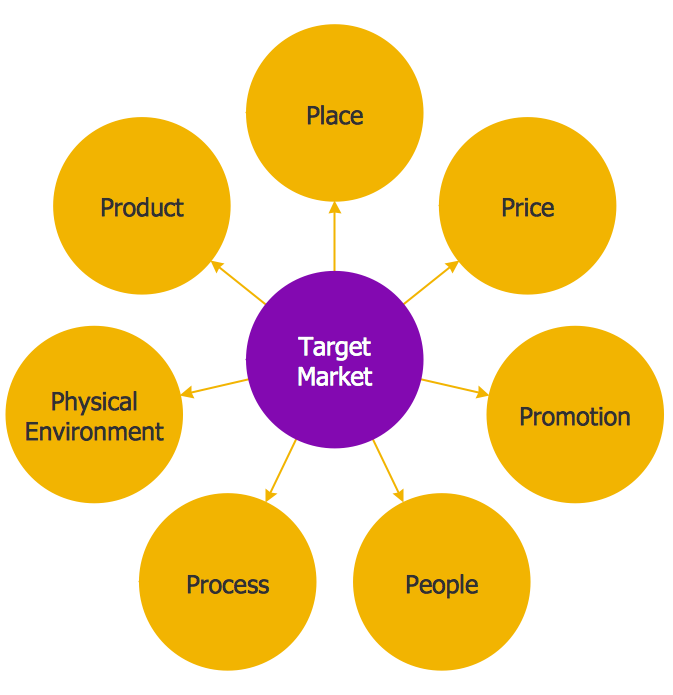 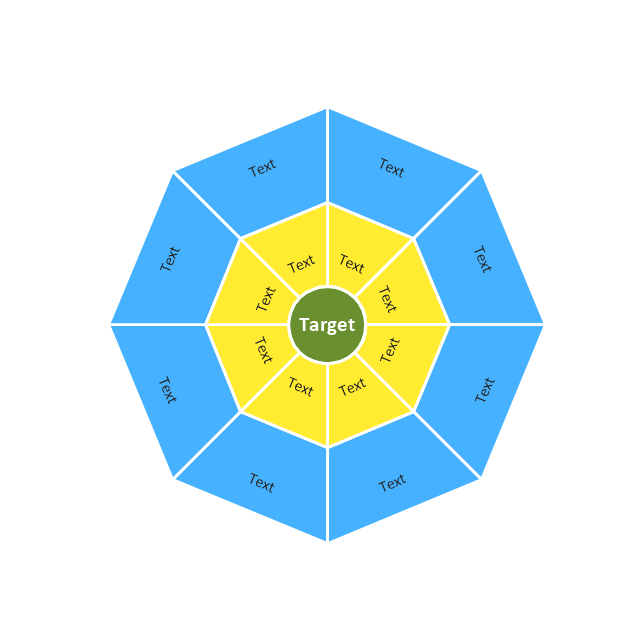 The vector stencils library "Target diagrams" contains 13 templates of target diagrams: marketing mix diagram, principles of marketing diagram, circle diagram, macro-micro environment diagram, stakeholder diagram, target market scope diagram. 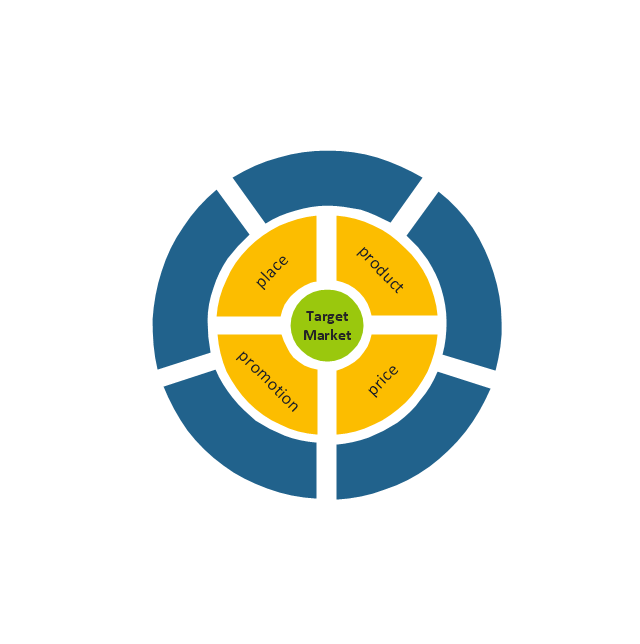 Use these shapes to illustrate your marketing and sales documents, presentations, webpages and infographics in the ConceptDraw PRO diagramming and vector drawing software extended with the Target and Circular Diagrams solution from the Marketing area of ConceptDraw Solution Park.